Medieval Times Dinner & Tournament Toronto *Exclusive* Promo Code Deal: Save 48% Off Tickets Now Only $34! Medieval Times Dinner & Tournament Toronto is providing Smart Canucks’ readers with an exclusive promo code deal! Using the exclusive promo code SMART, the general admission seats will be only $34 – that’s a savings of 48% off the original price of $65.95. During the show, a 4-course meal is served and a tasty vegetarian option is available upon request. 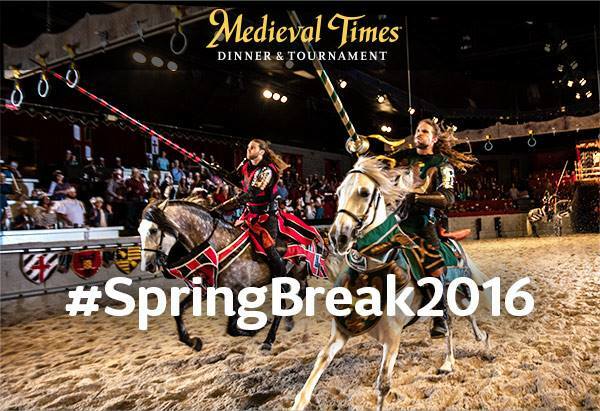 Medieval Times Dinner & Tournament is a fun choice for a night out, whether you’re looking for a unique date night, friend’s birthday or a March Break activity with the kids! Taxes, seating upgrades, fees and gratuities extra. This deal may not be combined with other offers and is valid at the Toronto, ON castle only. This exclusive deal is valid until May 1st, 2016. Click here to buy your tickets to Medieval Times Dinner & Tournament Toronto.